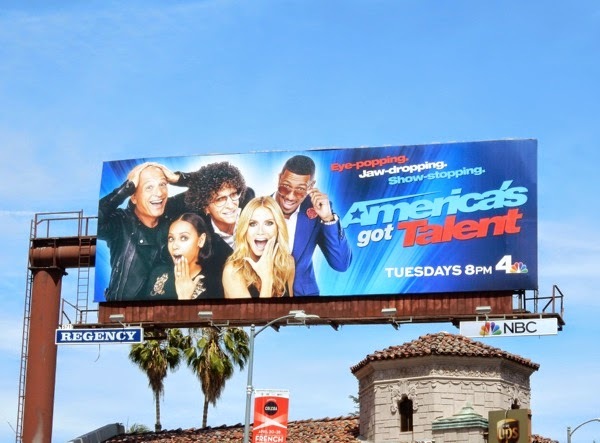 Just when you thought celebrities couldn't mug at the camera any more, along comes this tenth season billboard for America's Got Talent. 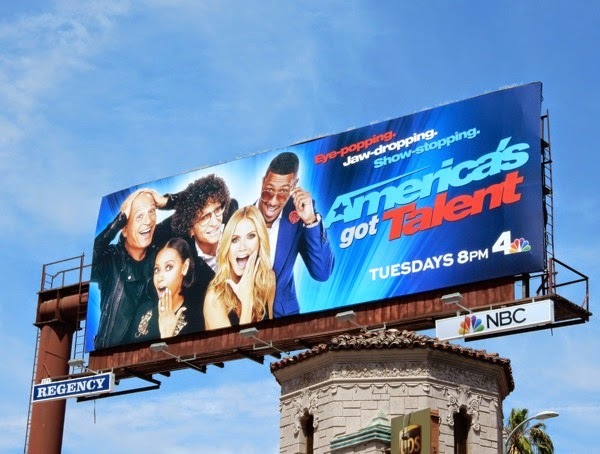 Howie Mandel, Mel B, Howard Stern and Heidi Klum are back to judge this variety talent search, with Nick Cannon returning as host, but with the show entering its tenth season how much longer do you think it can survive following the demise of American Idol (which will be getting its fifteenth and final outing in 2016). 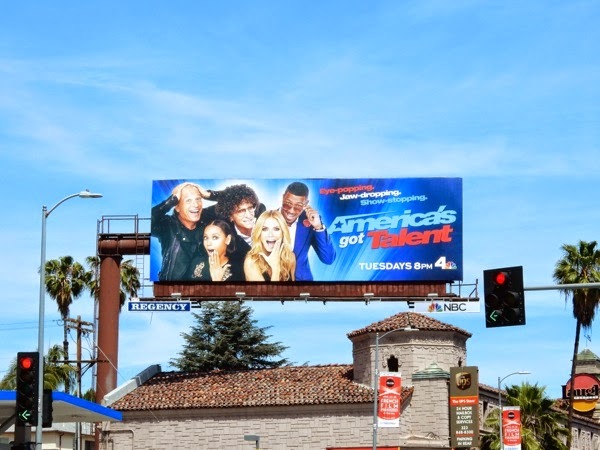 This season ten billboard was snapped along L.A.'s Sunset Boulevard on April 29, 2015 and if you're a fan of the show be sure to check out these previous season billboards for America's Got Talent. 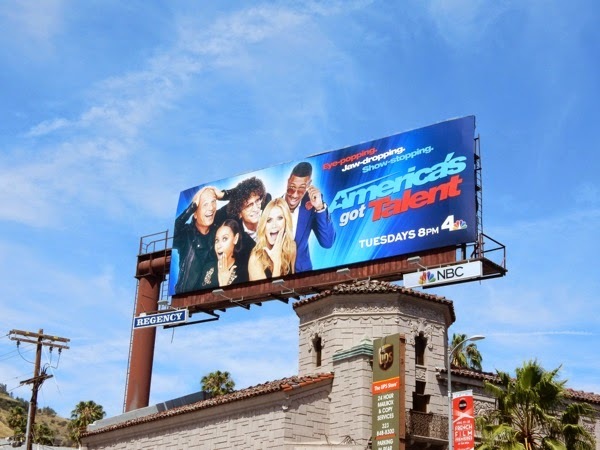 Honestly, just how much quality eye-popping, jaw-dropping, show-stopping talent if left out there?